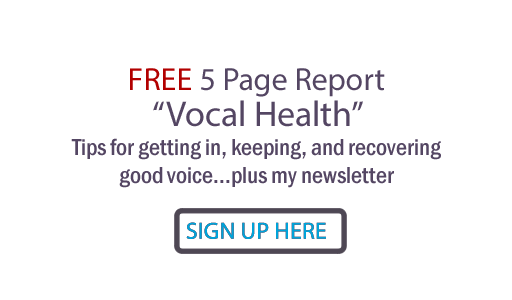 Judy Rodman - All Things Vocal Blog: Vocal Rehearsing... Can You Over-Do It? ...I'm having a heck of a time getting the energy and motivation to work these 11 songs (for my upcoming recording project). I love them (if I do say so myself since I wrote them LOL); they're good songs; they require some challenging vocal work; they have good arrangements...it's pretty much all there. But it's like I'm bored with them?!!!!!! Though I'm not exactly sure what's going on... In your opinion, should I just sing other material and give them some rest so I can come back to them fresh? ... I dont' feel i have the time to do that. James Taylor (one of my heros) was once asked if he ever got bored singing "Fire And Rain". He responded that during rehearsals they ALL are bored stiff with it, they can't hardly take it seriously but of course they must rehearse it. There is a lot of goofing and kidding around concerning that song at rehearsal. However, he said that every single time he sings it in live performance before an audience, it comes alive again... it's like he's doing it for the first time again. To this day. What is the difference? There is more than JT and band in the mix... there's ... the LISTENERS! Somehow, I think you need to separate rehearsing technically from rehearsing performance communication. Imho, you should rehearse technically until you don't have to think, then completely go on stage in your mind and perform to the unseen other who will be listening to your CD. You have to make this person real for yourself... much like an actor going into character. DO NOT practice performance much. Just when you're ready, once or twice at the most, a day. Only practice the drills of technically performing the song. It's a mind thing, and a set-place thing. When you perform, the act won't be authentic without the listener involved. AND THE CONTROL ROOM DOESN"T COUNT! Sing to the beings who will be listening to your CD. But then once you've performed, it can't feel authentic again for a while, because after all, the listener's already heard it... and for goodness sakes you don't want to bore them!! hehe. And think about it... once someone performs in an olympic event, does anyone ask them to repeat that all-out performance again that same day??? Not and live to tell about it, lol! And I mean not only in live performance, but in seeking that studio master vocal as well. If you have to sing it too many times, you need to park it and come back another day. Even making an actor do a scene too many times takes the life right out of it as they lose perspective and inhibition creeps in. Does anyone else out there have experience with this conundrum?